Madonna’s collection of dresses and outfits has topped Julien’s celebrity auction in Beverly Hills raising $3.2 million. 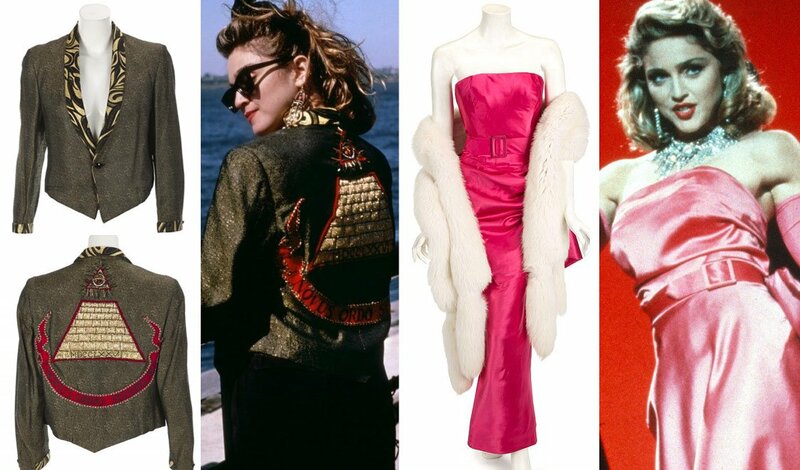 The highest lot was a jacket from Desperately Seeking Susan, which fetched $252,000, while a gown from Madonna’s Material Girl video reached $73,125. The auction also saw lots from Michael Jackson, Cher and The Beatles. A red sequined cape worn by James Brown sold for $41,600. The wedding dress Madonna wore when she wed actor Sean Penn in 1985 sold for $81,250, while a dress she wore on her Who’s That Girl tour reached bids of $50,000. Other lots which attracted the bidders were a pair of John Lennon’s spectacles which sold for $25,000 and a ring worn by Elvis Presley for $57,600. Guitars from a host of rock greats formed part of the two-day sale including Prince’s Sign of the Times Love guitar and a 1940 Gibson J200 owned by Stephen Stills of Crosby, Stills, Nash and Young, which sold for $43,750.